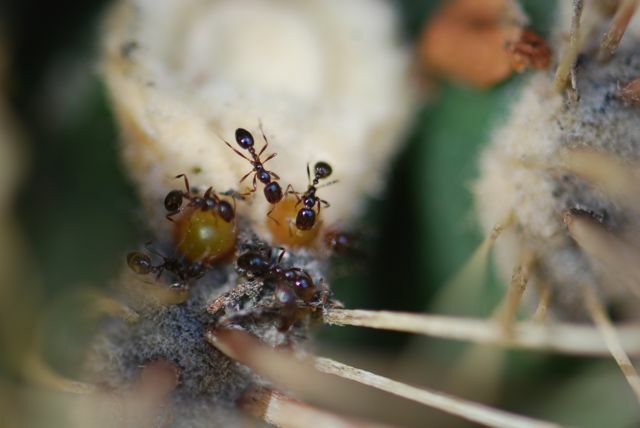 In that penultimate photo, the ants look like pairs of eyes. Spooky! Fire ants are weird to photograph. They are very shiny, more so than other ants, and they tend to move all their parts. The only days I get anything even halfway decent is when it is pretty cold out. 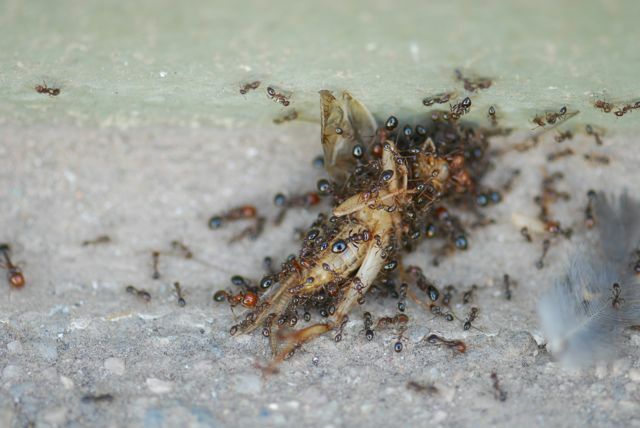 I am a life long ant lover from the greater Pheonix area and am currently on a hobby to collect a colony of Arizona harvester ants. I have found what I think is messor pergandei but I’m not quite sure. 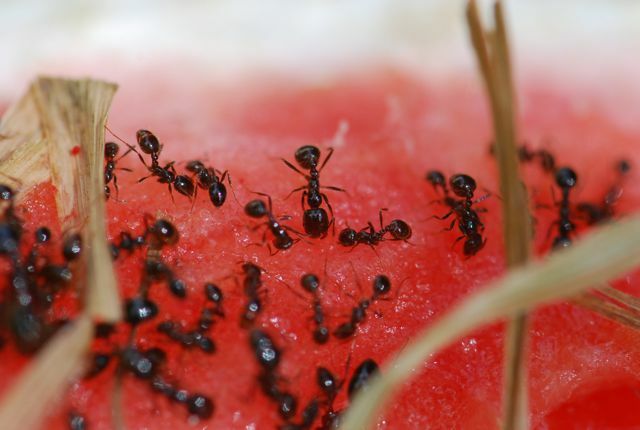 They are jet black and polished and workers vary between three different sizes in the colony reaching up to a half inch in length. Although they can eat other arthropods, their diet mainly consists of a seed combination between chaparral and flowering weeds. They are hardly aggressive. These ants look similar to your pictures of the black southern fire ant which is what gave me doubt. If you could clarify this for me with a discription of some distinguishing features I would be very greatful. Please disregard my last comment for on closer examination I have confirmed that they are indeed the native Arizona fire ant. 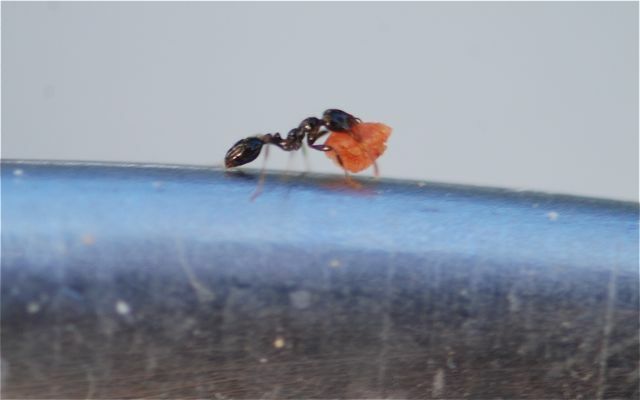 I have encountered yet another type of harvester native to the Senora desert that I believe to be pogonomyrmex rugosus. My question about this type is how deep and wide their nests can be and what is the average colonial population size? I only hope I don’t have to be burdened with carving out a nine foot deep canyon just to reach the queen and larva/pupa. I have aspirations for capitalizing on the wonders these social marvels of nature tend to deliver and lack the patients it takes to wait for the prenuptial flights in spring. Your input is very valuable to me and I look forward to your response. 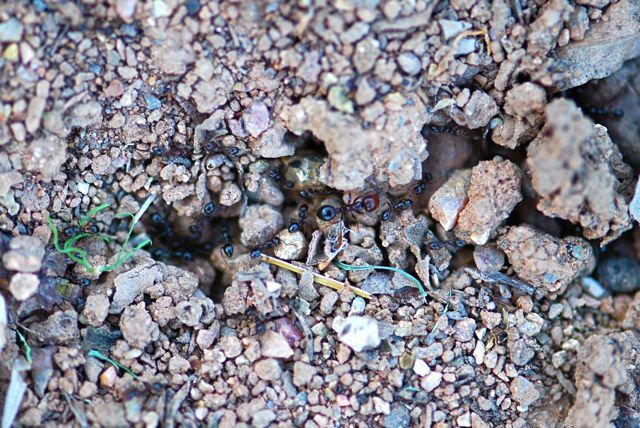 Pogonomyrmex rugosus nests have adundant interconnected burrows in the first 20 cm underground and then ends in a single main tunnel, with an average diameter of the nest disk of 1 m. Walter Whitford has done quite a bit of work with these ants. 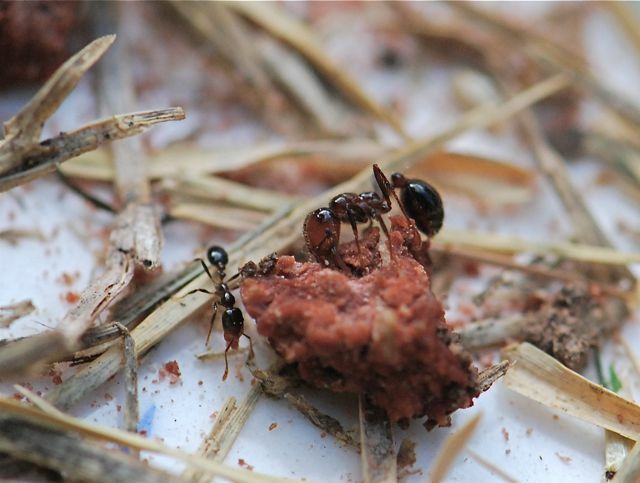 In addition, William P. MacKay has a paper in Psyche 88:25-74 (you can get a free .pdf at the link – look towards the top for “Full text”) that gives extensive data on excavating and colony size in three different Pogos. He indicates P. rugosus numbers around 3000 workers, but gives one reference of 22,000+. He does discuss his technique for excavation. Also, as he mentions, the position and composition of the ants will change with season. As cold as it is right now, the ants will be deep underground. You might be better off waiting for those flying queens. Anyone else here have any advice for Robert? Well you’ve done me a huge favor with that research. It’s nice to have a knowledgeable friend on such matters seeing as how it’s not every day you run into someone with interests that exceed sports stats or American Idol contestants. I have jumped the gun and already begun an excavation, but I will indeed look up that excavating data for proper modifications. My technique involves a 7 ft deep trench around a 3 sq ft periphery and, based on my limited research, seemed logical at first. However, I’m finding signs that their main tunnel deviates into the trench which further validates how important your reference may be. Thank you. I don’t mean to be so long winded, but are you also able to direct me towards the proper sites where I can research oxygen influences on insects. I don’t want to completely let the cat out of the bag, but I’m planning on setting up an environment in which I can force-feed oxygen to these ants on the hopes of increasing their size. There will soon be a market niche for this which can expand through many possible applications. For any bug-lover with imagination, this is very exciting.